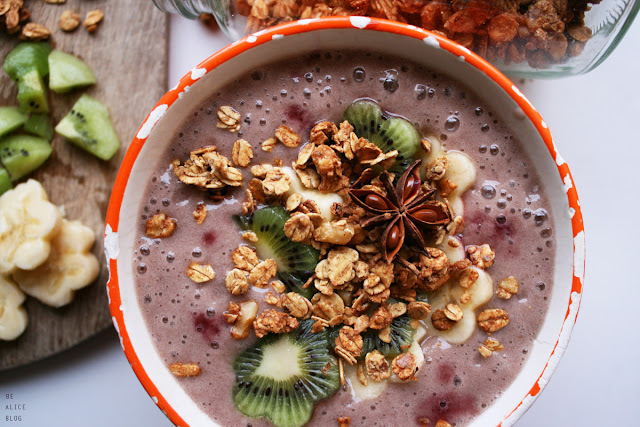 When it comes to granola, it's all about the crunch and the clusters, am i right? 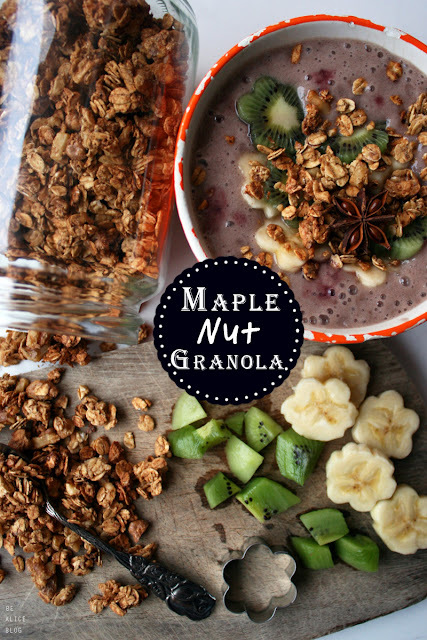 While homemade granola is great with or without cluster, a granola that clusters is 10x better than one that doesn't cluster! This recipe is simple, nutritious and nutty sweet. Oh, and addictive. And it clusters!! 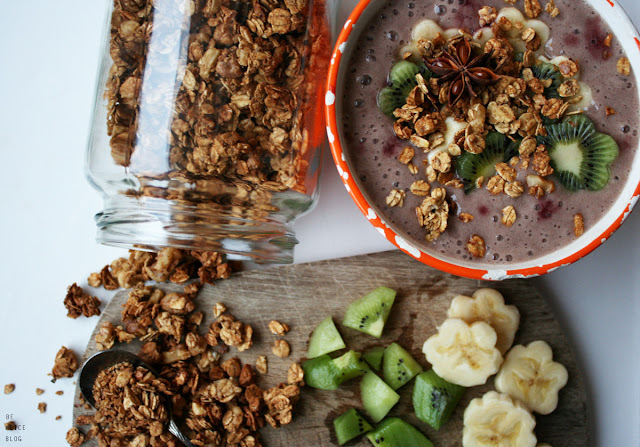 When i baked this granola, our entire flat smelled like cookie dough, and i absolutely love how indulgent it makes my cereal bowls taste. Oh, and right after this photo shoot, i could not stop eating it by handfuls myself. Whoops. In a big bowl, combine oats, nuts, salt and cinnamon. Stir well. Or, pulse them in a food processor instead. Add the cashew butter, maple syrup and blackstrap molasses and stir until everything is well coated in the nut butter / syrup mixture. Perhaps use your bare hands for this. 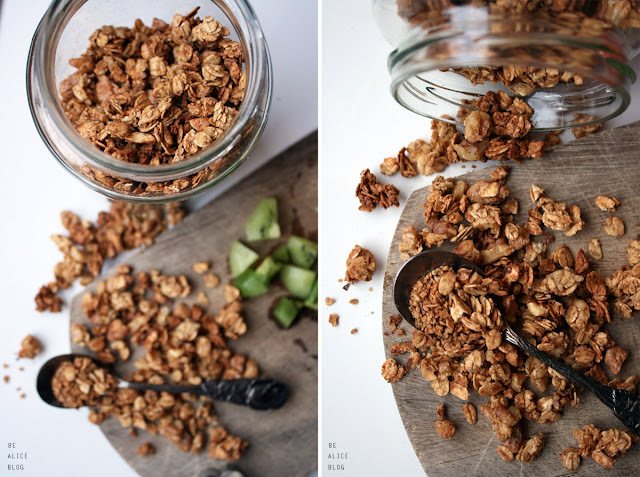 The granola is done when it is toasted and lightly golden. Remove from oven and allow to cool completely. Store in an airtight container. This is supposed to last for up to 2 weeks, but knowing me it will be gone in 2 days, haha!